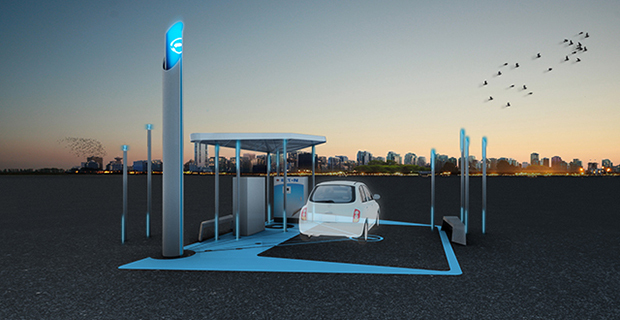 This research focusses on answering the question “what is an EV station?” An EV station is not a gas station – it could be considered an ‘anti-gas-station’ and yet it must be recognizable to the public as a re-fuelling station for a vehicle. 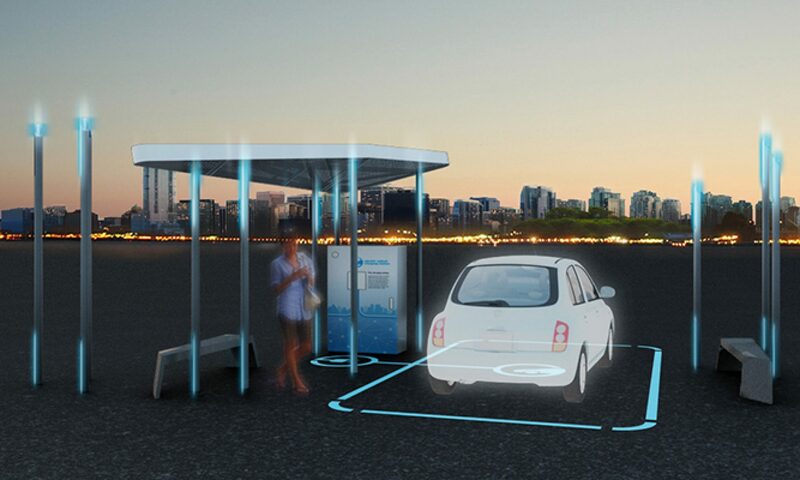 The EV station will not have the advantage of a large corner lot in a city with a giant canopy to signal its presence – the ‘spatial typology’ of a gas station. The team’s objective is to develop a new and appropriate ‘spatial typology’ that will allow the public to identify the EV station. This new typology must be able compete in the urban environment and make its presence known and understood. The challenge is establishing how street presence and visibility be maximized. The siting methodology includes these considerations. The key aspects of the design are visual identity, design of the station elements as well as siting and placing of these elements at the station locations. These elements are interrelated and work together on the site of the station. The guidelines bring together all of these considerations as well as previous siting work and work by PowerTech on electrical standards and National Guidelines for safety produced by Ecotality. 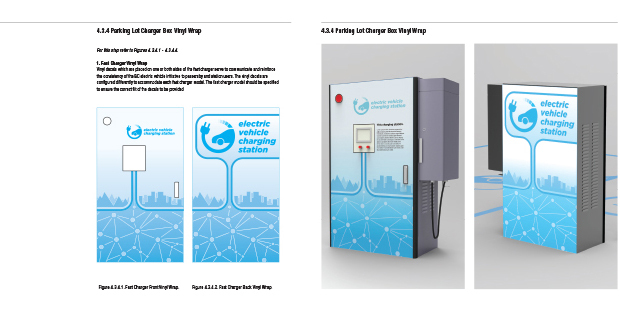 The design guidelines for Provincial Charging Stations were produced to lead all stakeholders through the process of siting, locating and installing both Level 2 and Fast Charging Stations for the Province of BC. The research designed a kit of parts for the charging stations from a very simple install to a more elaborate showcase station. 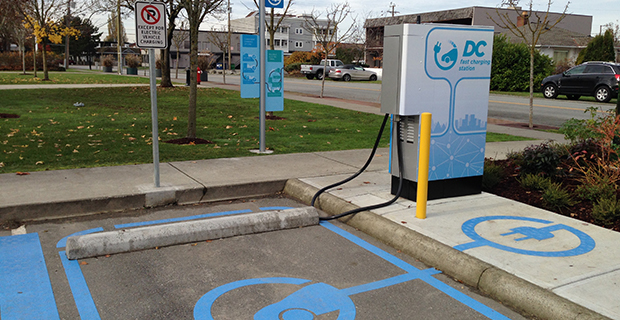 The Fast Charging Stations are currently being installed in BC with these guidelines.